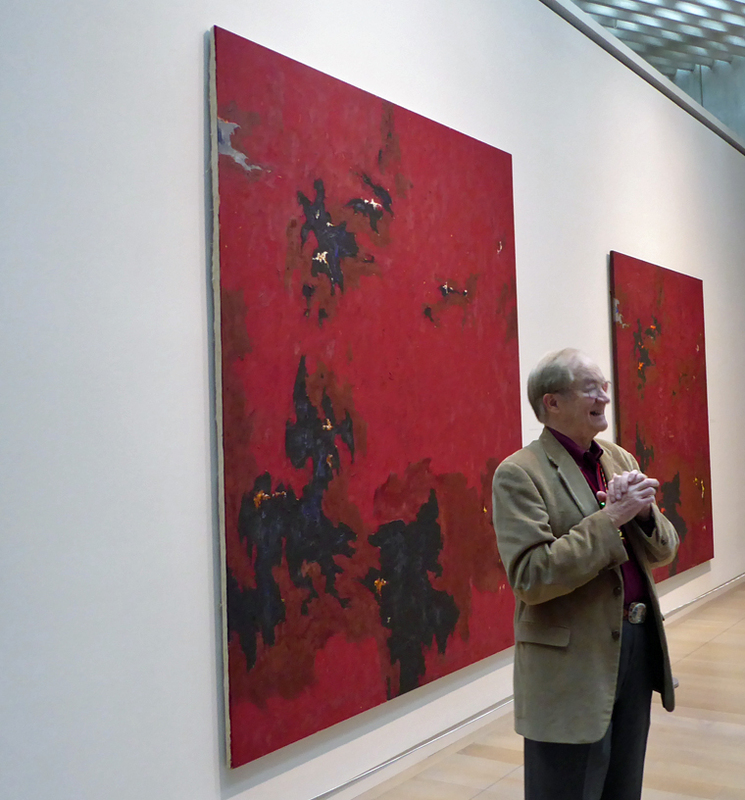 the artist's nephew, Curt Freed AB '65 MD '69, along with museum director Dean Sobel, will treat RMHUC Members to a private tour of Denver's one-of-a-kind Clyfford Still Museum. The Clyfford Still museum is one of a very few museums in the world solely featuring works from a single artist. The museum itself was custom-built to house these exhibits. To this end, no other artists' works are displayed at the museum. The current exhibit utilizes augmented reality (AR) so that you can view other artists' works that inspired Still's painting. Still's works are best seen with an experienced guide, and we have one of the best guides among us as Harvard alumnus. Curt Freed (AB '65, MD '69) was instrumental in locating the museum in Denver. He has generously volunteered to tour the museum with our group from 10:00-11:30 AM on Saturday, December 16th. We have also received word that the museum director, Dean Sobel, will join us for part of the tour and take questions from our group! The cost is only $10 per person, the same as normal museum admission. After the tour, those who are interested will retire to nearby Pints' Pub for libations. Please note that this event is for Harvard alumni who have purchased Rocky Mountain Harvard University Club memberships. Benefits of membership include exclusive access to our most popular events as well as discounted pricing to other events. Please use your HarvardKey signin credentials to purchase membership prior to buying tickets for this event! THIS EVENT WILL SELL OUT-- last year tickets ran out two weeks before the event. If you are already a member of Clyfford Still Museum, please email me directly at (jkjkcostello@gmail.com) to reserve your spot, as admission is free for members. Likewise, if you have RSVP'd and cannot make it, tell me so that I can open a spot for another alum. ... a total of 24 guests.